In an event organised by the Loomba Foundation on 27 November 2017, the Haryana Chief Minister Manohar Lal Khattar in a bid to provide better facilities and security to widows announced that the Haryana State Commission for Women (HSCW) will have a separate department for widows to facilitate in resolving their issues on priority and ensuring that the problems do not recur. The HSCW acts as a watchdog. 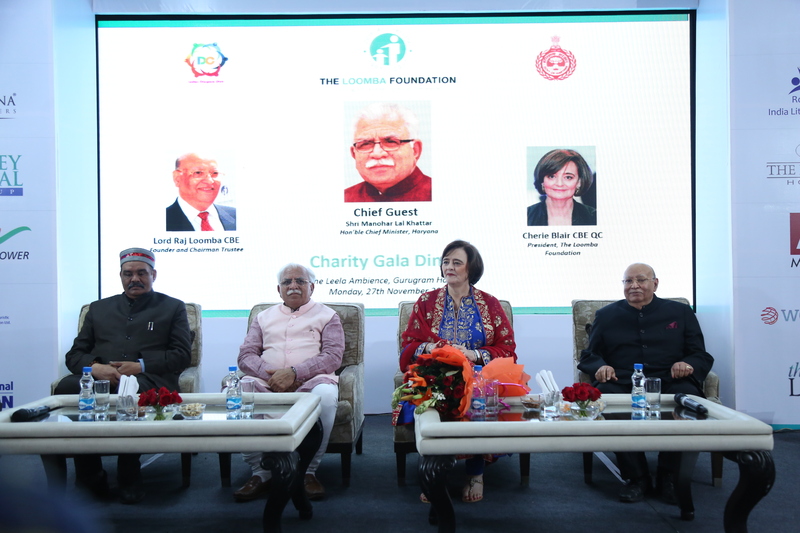 Khattar while speaking as the Chief Guest at the 20th anniversary celebrations of the Loomba Foundation in a hotel in Gurugram said that a separate cell for widows will strengthen the functioning of the organisation. The Chief Minister was also pleased that the Loomba Foundation is providing skilled training to 30,000 poor widows and educational support to 2,000 of their children, in partnership with the Rotary India Literacy Mission, in India. He said he would like to develop a partnership with the Loomba Foundation to help as many widows as possible, using the experiences of Lord Raj Loomba, Chairman and Founder Trustee of the Loomba Foundation. Lord Loomba has cared for impoverished widows and their children in India and in 12 countries across South Asia, Africa and South America, for the past twenty years. He announced that the monthly pension for widows will be increased from Rs 1600 to Rs 1800 from January 1, 2018 and to Rs 2,000 by 2019. Besides this, extra 5% marks will be added to the entrance exams score of widow applicants for government t jobs. The decision was made in the last cabinet meeting on November 21. The leverage will be given in government jobs, in which recruitment will be made by the Haryana Staff Selection Commission. From November 1, the state government has enhanced the pension of widows of veterans of World War 2 from Rs 4,000 to Rs 10,000 per month. Nearly 5,000 widows will be benefitted by this.